ALBANY, NY – The people of the Finger Lakes region are rejoicing at news today that a controversial liquefied petroleum gas (LPG) storage project proposed for Seneca Lake will not go forward as planned. Citing concerns about community character of the Finger Lakes, cavern stability, and risks to the agri-tourism economy, the state Department of Environmental Conservation (DEC) denied a draft permit for the project, presenting a likely insurmountable hurdle for proponents. Citing threats to public safety and the growing local tourism economy, opponents of the project have pressed state leaders to deny the permit to Finger Lakes LPG, which had sought to store 88.2 million gallons of LPG in abandoned salt caverns alongside Seneca Lake. The news is a huge victory for a coalition of residents, local elected officials, and business owners who have long fought to protect Seneca Lake and their regional economy, at times attracting national media attention for their cause. 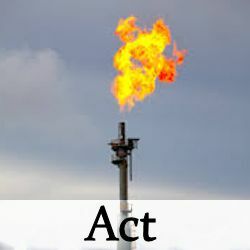 The nonprofit environmental law organization Earthjustice has represented Gas Free Seneca in proceedings and had been poised to challenge the project in court, if needed. Crestwood, a Texas-based corporation proposed a plan to store dangerous, explosive liquefied petroleum gases in abandoned salt caverns under the shores of Seneca Lake.The unlined salt caverns along Seneca Lake were never engineered for storage, yet Crestwood proposed storing up to 40 million barrels of explosive propane in a manner that has caused injuries and deaths, large fires, evacuations and major property loss in other locations. Members of the tourism industry highlighted that Crestwood’s proposal would bring almost no economic benefit to New Yorkers. Crestwood promised to bring three to five permanent jobs to the region, paling in comparison to the 60,000 tourism jobs in the Finger Lakes that would be jeopardized if the plan was implemented. Over 450 Seneca Lake property owners, 500 local and regional businesses on the GFS and FLXWBC coalitions, several local wineries and vineyard owners, and 32 municipalities representing 1.2 million New Yorkers oppose the proposal. 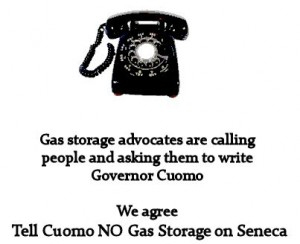 Gas Free Seneca was the first organization founded to oppose the storage proposal. It is the lead petitioner in the legal battle against the proposed gas storage facility in the Finger Lakes. Today’s decision means the project cannot go forward. For details & sources used in our ads CLICK HERE Many of the problems of this project are outlined in our Dec. 7, 2016 Albany Press Conference. You can watch it here, preceded by our 30 second PSA. 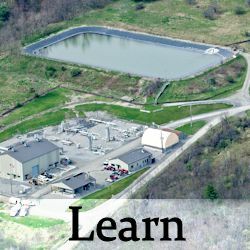 We are a group of concerned citizens and business owners who have joined together to stop a proposed liquefied petroleum gas (LPG) industrial storage facility and a methane expansion facility, with plans to store methane, propane, and butane in unlined, depleted salt caverns that were never engineered to store anything, on the shores of Seneca Lake. These projects present innumerable risks to our safety, our water , way of life, and our livelihoods. Please join us! Crestwood, a Houston energy company, is trying to industrialize Seneca Lake and the Finger Lakes by proposing a massive project to store liquefied petroleum gases in unlined salt caverns under Seneca Lake. This project presents geological problems, can affect Seneca Lake water quality, presents health risks, is a threat to our winery and tourist economy, as well as being an infrastructure project that could negatively impact climate change. Watch portions of the Seneca in the Balance event on the Events page. You can see noted professionals and business owners in the field of geology, health, tourism, agriculture, winery, biology and politics examine the problems of this project. Look around and you’ll find a lot of information here. 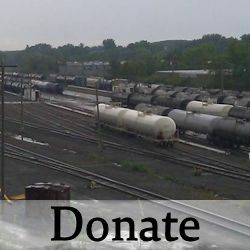 While Earthjustice is providing pro-bono legal work, your donation will go directly towards the costs of expert reports, affidavits and in some cases testimony that need to be prepared in our on-going legal battle to preserve Seneca Lake. Our independent expert Geologist, Hydro-geologist, Risk Analyst, Noise Expert, Economist and Community Character Expert are providing Governor Cuomo and DEC Commissioner Basil Seggos with the research they need to build a case for denying permits to Crestwood. We expect the cumulative cost for these additional reports and testimony will be up to $130,000. Your donation will be used for this expert testimony either in the event of a full hearing, or an appeal. Please consider donating to support our work. We will have donation information here soon. Gas Free Seneca shared a link. Gas Free Seneca shared a post. What's the hold up, Governor Andrew Cuomo? The people of the #FLX are getting frustrated by this delay. Please do the following TODAY! 1) Call the Governor’s office at (518)474-8390 and use prompt 2 to speak to a real person. – ask why the bill hasn’t gotten to the Governor yet. Say we’ve been told that the Assembly won’t send it for signature unless the governor asks for it. After getting whatever answer(s) you get, ask them to do what’s necessary to get the bill to the Governor (or thank them if it’s there). Suggest that him signing it on Monday April 22, Earth Day, would seem to be a great PR move.